Client: California Home & Garden :: A Wellington based garden centre. Project: Promotional Postcard, Brochure, Banner and a Newspaper Advert. Brief: To design a set of upmarket, exclusive postcards. 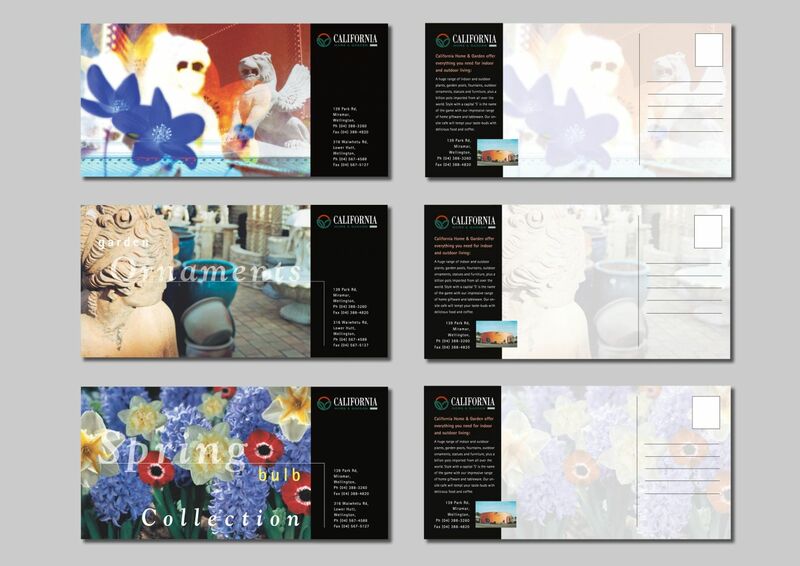 The postcards are part of a promotional campaign to promote both the spring bulb collection and the California garden centre in general. Solution: A crisp clean modern layout. Each postcard focusing on promoting a different department.